Classic Craftsman home in Tangletown neighborhood. 2BDR + 1BA on main floor. 2BDR with 1BA upstairs. High ceilings + tall windows stream in natural light. Original woodwork + newly refinished wood floors. Wood fireplace in the living room with original built-in buffet in the dining room. Large kitchen with original Craftsman cabinets. Partially finished basement: laundry room, storage room + 2 finished rooms. Deck in the backyard. Fruit-bearing pear tree. 2 car garage + storage. Directions: 46th Street to Stevens Ave, head south to home. I was searching for a Property and found this listing (MLS #5140812). I would like to schedule a showing for 4720 Stevens Avenue Minneapolis, MN 55419. Thank you! I was searching for a Property and found this listing (MLS #5140812). Please send me more information regarding 4720 Stevens Avenue Minneapolis, MN 55419. Thank you! 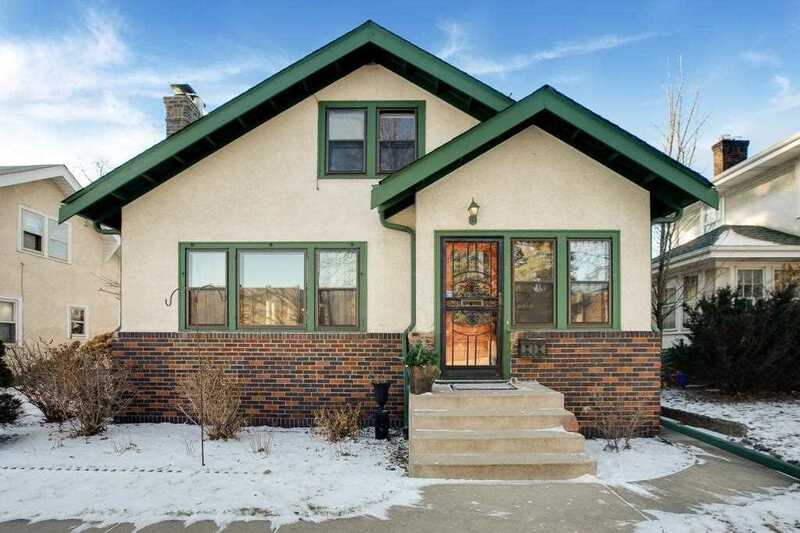 MLS® 5140812: This property at 4720 Stevens Avenue, Minneapolis, MN 55419 is located in the Tangletown subdivision and is listed for $337,000. MLS® 5140812 has been on the market for 88 days.